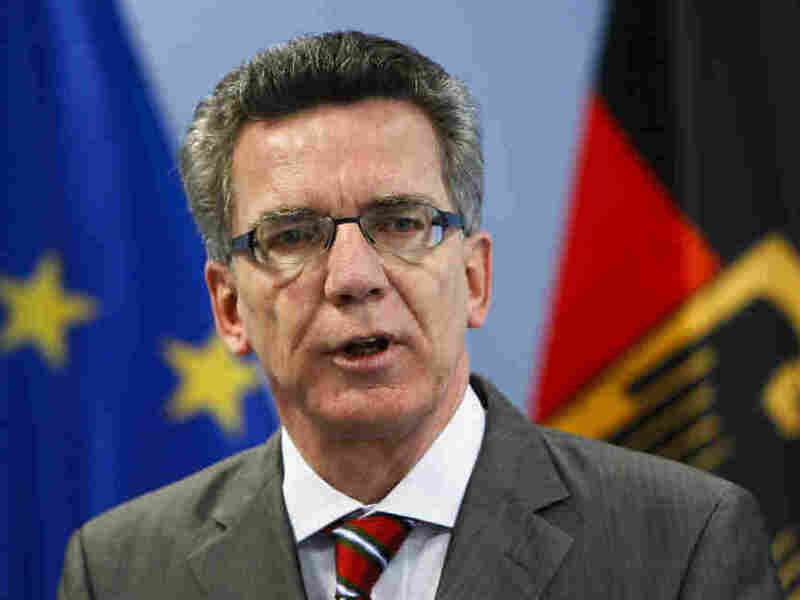 German Minister Downplays Terror Threat; France Warns Of Strikes In UK : The Two-Way German Interior Minister Thomas de Maiziere is calling recent warnings of terror attacks in Europe "hypothetical." He says there are no signs of any imminent attack. The Interior Minister of Germany, Thomas de Maiziere, went on public radio in Germany today and said he saw no signs of any imminent attack on his country. He called the current threat reports "hypothetical." NPR's Eric Westervelt reports from Berlin on de Maiziere's remarks. "There is no thermometer to measure the level of current danger" he said. "I cannot satisfy any curiosity for concrete information, only reassure the public that the security authorities are working overtime, under immense pressure." The minister also said he could not confirm reports that several militants of German nationality were killed in a drone missile strike in Pakistan. He said he found it astonishing that Pakistani intelligence could quickly confirm the identities of the dead in a remote, area under Taliban control. France, in the meantime, has become the latest country, to warn its citizens to be careful when traveling.The Foreign Ministry released a statement saying that "that the level of terrorist threat is very high in the United Kingdom and the risk of an attack is very likely."